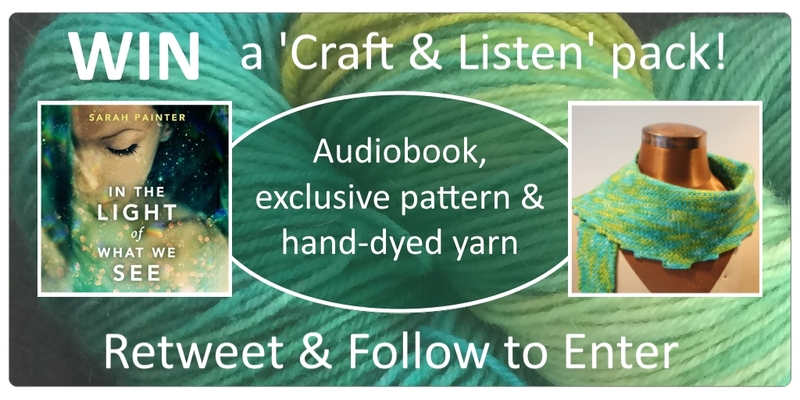 Twitter Giveaway: Craft and Listen Pack With Exclusive Pattern! My sister-in-law, Fay, has recently launched a craft company, Knit It Hook It Craft It and a podcast, The Crochet Circle. Fay has a true gift for making things. Whether it is cooking beautiful food, tiling a bathroom or stitching a skirt, she achieves excellence in anything I have seen her try. Imagine how excited I was when she turned her skills to making a shawlette/scarf inspired by In The Light of What We See! As Fay knows I am a novice crocheter (and she wanted simple pattern that could be done while listening to an audiobook or watching television), the pattern is suitable for beginners. It has a geometric edge pattern, and I can absolutely picture Mina wearing it. Plus, she found beautiful hand-dyed yarn (by Ripples Crafts in Scotland) in colours which match the book cover perfectly. 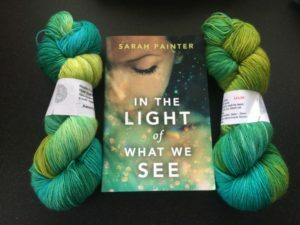 To celebrate my very first ‘bespoke book-inspired pattern’, I’m giving away the audiobook of In The Light of What We See, the exclusive pattern, and a skein of hand-dyed yarn (enough to make the shawlette). Just head to Twitter and RT/follow to enter! To enter you must follow (or already be a follower!) of both accounts and have retweeted the competition tweet. One entry per Twitter user. One winner will be chosen at random. 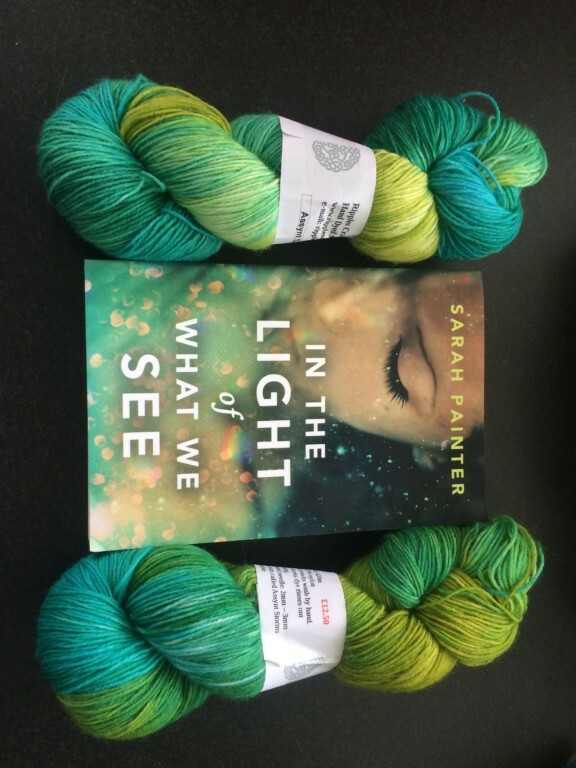 The prize: one skein of yarn, the crochet pattern and one copy of the audiobook (on CD). Giveaway is open internationally and closes at 9pm (GMT) on Friday 2oth May 2016. 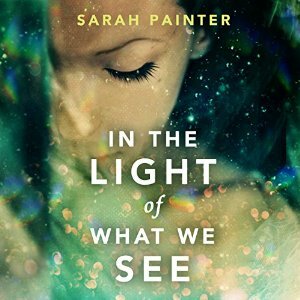 Just a quick post today to let you know that I will be picking a name from my mailing list at the end of the month to win a copy of the audiobook (unabridged) of In The Light of What We See. 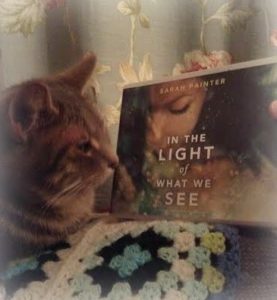 * I will send you an occasional newsletter with book news, exclusive content and giveaways. Unsubscribe easily at any time.